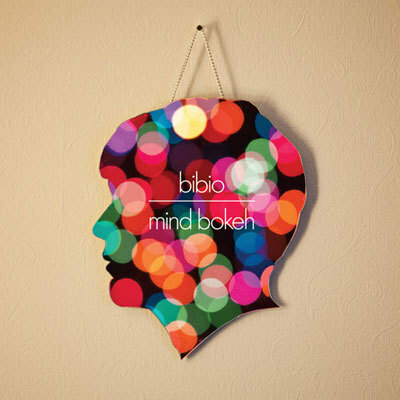 It only feels like yesterday that Black Country sort Bibio (real name Stephen Wilkinson) was crafting crackly post-Board of Canada soundscapes for fuzzy THC-addled minds. That didn’t last long though, Wilkinson found Dilla just like born-again Christians find God, and that was all he needed to set off on a new direction. His last record ‘Ambivalence Avenue’ triumphed with its blurry blend of 70s and 80s nostalgia and clipped neon rap beat-play, and ‘Mind Bokeh’ continues that rabbit-hole excursion, if going deeper and further into the realms of the weird, with nods to early electronics, folk, hip hop and disco. Sure it’s a headf*ck of a record to listen to, but it’s also strangely coherent, like a good mix from a particularly adventurous friend. Wilkinson busts his singing voice on a good portion of the tracks that adds to the mystical pop haze, but ‘Mind Bokeh’ is still a defiantly experimental record. Even on the much-touted Thin Lizzy tribute ‘Take Off Your Shirt’ (for the record it sounds more like Phoenix) there’s something holding it back from being straight up pop music. Something in Wilkinson’s signature will always recall those wavering tape loops, that Ghost Box sense of memory and loss, and wherever he takes Bibio next it’s good to know that the soul will still be there. Good stuff.